If you prefer face-to-face rather than correspondence training, you can learn new skills on a seminar course in proofreading or copy-editing. Our 2019 seminars are held at Monticello House, in Russell Square, central London and very conveniently placed for public transport. Book now for spring 2019 seminars in London! Run by Senior Tutor Tom Richards, our face-to-face seminars are warm and informal, with emphasis placed on group work and graduated exercises. We also give students as much personal attention as possible. There is a lot of discussion of English language, words, grammar and punctuation. Everyone enjoys the courses and learns a huge amount in a short time. 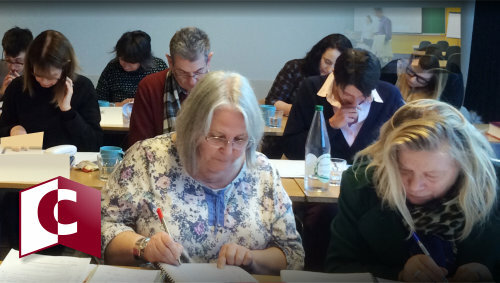 Our four-day courses cover both proofreading and copy-editing: these run from 10 am to 4 pm for four days, while for students wanting an express course in proofreading, we have one-day seminars which run from 9 am to 4.45 pm. Question and answer sessions and open discussions are key elements of these courses. Included in the course fees are extensive documentation and practice exercises for students to work through in their own time after the seminar is over. Certificates of Competence are available for all the courses if you do well on a free assessment after the course. What a student said recently: “This is just a quick email to thank you for a really enjoyable course over the last four days in London. 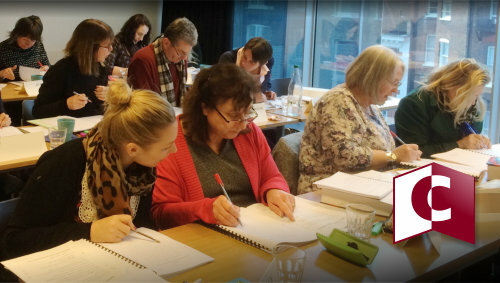 Not only was the course very well structured, Tom was a delight, managing the pace and content perfectly. His enjoyment of the matter was infectious.